I can't use my Maui condo this year, but I have it reserved for a prime week. April 16-April 23. Just $1800 for 7 days! This is a deluxe oceanview 1 bedroom unit at Kaanapali Beach Resort in Maui. It's located on a gorgeous beach in Kaanapali. My kids love the 1 acre pool with 2-story waterslide. I love the beach! There's also a kids program and a mini-golf course as well as arcade/game room. It's the perfect family/friendly condo. Within minutes of the resort, you have world class golf courses. We love to SNUBA and it doesn't require any certification. We have taken gorgeous family photos at this resort. 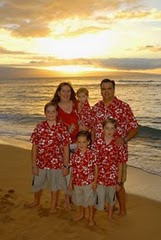 Email me if you have any questions ( info@thehawaiianhome.com) . If you're ready to book it, I can accept PayPal or MC/Visa. nice blog :) you really made me wanna go to hawaii!